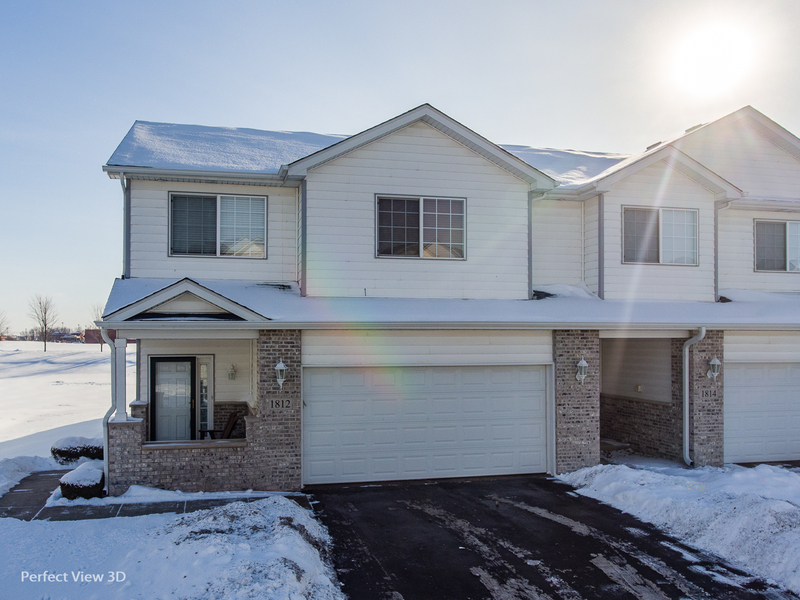 This inviting end unit split level home has a fantastic open concept with vaulted ceilings and views of the pond. Great room with gleaming hardwood floors. Kitchen shows like it could be in a magazine with stainless steel appliances, glass front cabinets and corian counter tops. Main level is rounded out with a dining area with sliders to a deck. Vaulted ceilings continue into the master suite with private master bath (check out the shower!) and walk in closet. There is also a nice sized second bedroom and a full bath on this level. English basement/lower level features a family room, a 3rd full bath and a walk in closet. Need another bedroom? The lower level could easily be that space! 2 car garage. Newer water heater and roof. Easy access to 55 and 80. Please, send me more information on this property: MLS# 10263899 – $187,500 – 1812 Waters Edge Drive, Minooka, IL 60447. I would like to schedule a showing appointment for this property: MLS# 10263899 – $187,500 – 1812 Waters Edge Drive, Minooka, IL 60447.